Working with biologically active points is one of the oldest ways of influencing the human health. Zhen Jiu therapy is the most effective system of BAP treatment in traditional Chinese medicine. It includes two methods of working with BAPs: 針 Zhen – inserting the needles and Jiu 灸– warming up the point with moxas or cones. Currently there are many other methods of working with BAPs: electric current, laser and LED radiation, electromagnetic fields, etc. Acupuncture" extension solves many tasks that a specialist faces. It is designed for creating an acupuncture prescription for treatment, prevention and general health improvement. The prescription is based on the individual constitution, meridional balance and biorhythmic peculiarities of a person. Atlas of biologically active points contains information about 361 points located on the 12 main and 2 middle meridians in three nomenclatures: English (recommended by the World Health Organization), French and Chinese names of BAPs. 1. "Acupuncture" extension allows selecting the type of manipulation based on the classical approaches of the TCM. By choosing the method "Zhen" the practitioner will be able to generate a customized prescription for acupuncture, acupressure, cubo/seed therapy, plates and/or correctors’ application, electropuncture, magnet therapy and various electromagnetic fields. Method "Jiu" will be helpful to specialists applying warming up of the points with absinthial cigars (moxas) or cones, laser therapy, thermopuncture, quantum therapy, light or colour therapy. 2. Our software generates individual acupuncture prescription based on the constitutional and biorhythmic peculiarities of the client from the perspective of Ayurveda (Vata, Pitta, Kapha), and TCM. Combination of points also uses the connection to temporal factor through ancient biorhythmic theories "Zi Wu Liu Zhu” and “Ling Gui Ba Fa". Nosological filter allows choosing preventative or therapeutic mode of prescriptions for 244 different conditions. By choosing the function “normalization of the functional status”, you can create a prescription for any initial state. Nosological filter also takes into account acute and chronic conditions. You can also edit the prescription: remove and/or add acupuncture points from the Atlas. Save the recipe with detailed description and illustrations on your computer and send it to the client. 3. The programs contains and interactive guide that helps to view any point, read its description in the European and traditional Chinese interpretations. Atlas of acupuncture points contains information about 361 points located on the 12 main and 2 middle meridians in three nomenclatures: English (recommended by the World Health Organization), French and Chinese names of the BAPs. Specialist can use the description of points and the recipe for educational purposes. Each recipe has an explanation of the direction of the points’ influence and principles of their combination. Download an example of the report created by "Acupuncture" extension below. Use the VedaPulse Home device to track the functional status of the client and receive all necessary data for creating a prescription remotely. 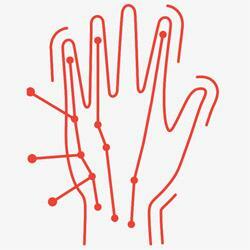 Use VedaPulse device and expert extension "Acupuncture" with the Atlas of acupuncture points to create individual recommendations for acupuncture for each client in just five minutes! To introduce yourself to the practical usage of this expert extension, please watch the free webinar on acupuncture, where a reflexologist, TM/CAM specialist talks about the main methods of using BAPs and their practical application, on the example of the extension "Acupuncture". Today a practitioner using BAPs faces many challenges – how to prepare a prescription taking into consideration the constitutional peculiarities of a person, condition of the physical body, emotions and mentality. In addition, the specialist has to make a difficult choice from the variety of treatment factors and different approaches when creating the acupuncture prescription. Dynamics monitoring and the ability to work with the client remotely are also important factors.